You are here: Home / Facebook afterlife / What happens to a Facebook profile when someone dies? What happens to a Facebook profile when someone dies? A few years back, Facebook introduced a feature in which you can memorialise the Facebook profile of someone who has died. In brief, this means that once a death certificate or similar evidence is provided to the social networking site, the profile of the deceased effectively becomes inactive yet remains visible to their network. The person’s account can no longer be accessed, so new friends cannot be accepted; their friendship network remains as it was, just before they died. Automated updates such as the person’s birthday, likes or recommendations are completely switched off, so Facebook friends and friends of friends will not receive “say Happy Birthday” or “do you know?” updates from the person who has died. I understand why some of the memorialisation features were introduced and why. Privacy for the account holder is a key consideration and understandably so. 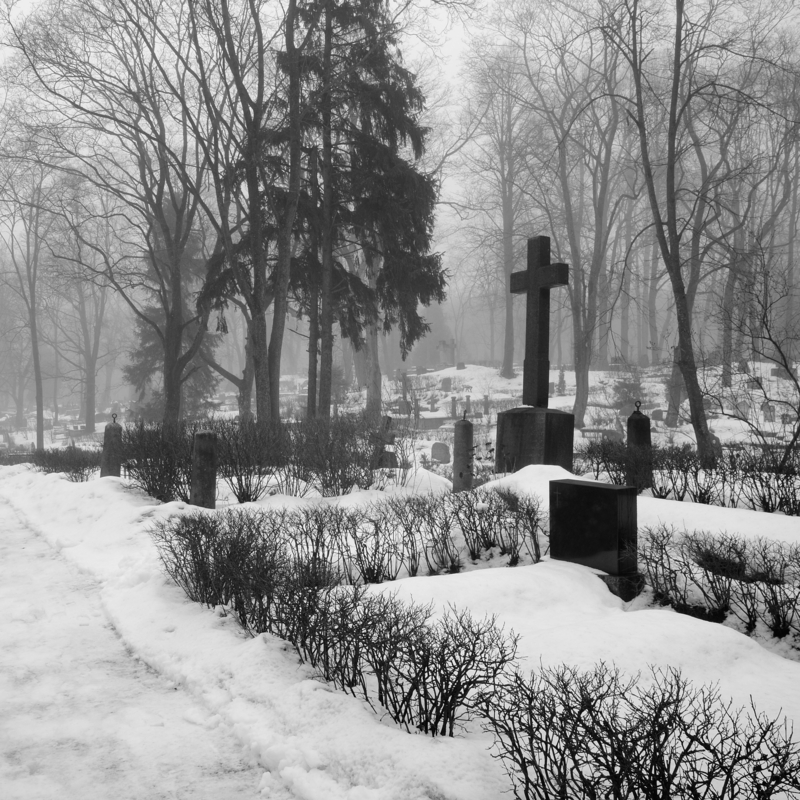 All the same, our recent experience of losing a family member shows that for various reasons, these features are not always beneficial to the deceased or grieving family and friends. And in some cases, they do not go far enough. After my brother’s funeral last year, our family held drinks with friends and colleagues to share stories about him in one of his old pub haunts. At one point, after many toasts had been made and stories shared, I found myself sitting at a table with five other women who all turned out to be his ex-girlfriends. The conversation was menacingly polite until one of the group started to draw comparisons between herself and another, noting how similar she thought they were. The other disagreed and suddenly, the conversation livened up. There was some fairly vocal discussion as others joined in and compared opinions. The situation felt awkward, while civilised. I wanted to disappear and eavesdrop from a safe distance but I didn’t; it was such an extraordinary situation. This gathering initially seemed so unlikely. It made sense after thinking it through. In a room full of disparate friendship groups and cliques, these women gravitated towards each other because they shared a common experience; each sharing a part of my brother’s life. The idea of former flames converging in one place is enough to set most pulses racing. This situation is not one my brother could have easily endured if he were alive. You could feel a palpable sense of relief (mixed with disappointment) from others in the room when the group disbanded. In our day-to-day lives, we compartmentalise and in turn, group ourselves with others depending on how we relate to them or share common interests. Where we have different interests and groups of friends, we also tend to communicate with them separately and in multiple ways. And in stark contrast to the previously mentioned scene, we very often avoid mixing friends or acquaintances where we anticipate conflict, awkwardness, lack of commonality or differences in personality or ideology. In our digital spaces, we do not take this multi-faceted approach to communicating. We mostly take a one approach fits all when sharing news with our networks, largely because it’s convenient. On spaces such as Facebook, you can separate groups of friends but few bother to put the effort in to maintain them. Even if you do, the platform just doesn’t accommodate the degrees of nuance of our in-person social interactions. Similarly, when we communicate via other social platforms such as Twitter, FourSquare or Pinterest, we broadcast to all our connections, whether or not it is relevant to everyone who is connected with us. We curate and self-censor to what we feel comfortable sharing across our multi-faceted friendship groups, then monitor, moderate and occasionally censor what people post in return. 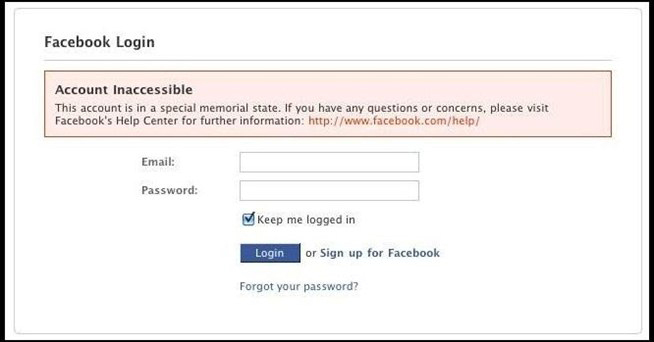 When Facebook receives a notice to memorialise, the profile of the deceased user becomes inactive and it has no one actively managing the account anymore. If no one has access to managing the Facebook account of the person who has died, no one is able to continue curating the ongoing dialogue around his/her life and death. There is no one to manage the public messages that are sent within the wider network, posted on the deceased’s profile wall. This requires the co-operation of all friends of that person to communicate in a way that is respectful – not only to the memory of their friend and in a way that he or she would have appreciated, but also in a manner that respects the feelings and boundaries of others in his or her network. Our recent experience shows this doesn’t always happen. Perhaps this is because the impersonal nature of posting on a wall means it is easier to forget (or never know) who is in the audience. After all, an in-person discussion more often than not, starts with an introduction and an awareness that someone else is part of the conversation. My brother’s death, as is often the case with military deaths, was reported widely in the media. There were cases of people trying to attach and position themselves to the publicity, magnifying their relationship with him, sometimes speaking for him. Such actions, a friend pointed out, are what’s known as grief tourism. Friends and family objected to some of the photos and private as well as public messages that certain friends posted on his wall and across his network. When it happened, we had to intervene behind the scenes and encourage more sensitive behaviour. It’s not possible to change the security levels around the profile once memorialised either, which means that there’s no way to approve comments to the wall or timeline if maximum security settings were established. And where security settings are overly liberal, a laissez-faire wall risks causing distress to family and friends, just as their grief is most sensitive. There is the option of setting up a Facebook page to counter some of the issues I’ve mentioned here. This is a commonly taken approach which I’ve seen happen within my own network when family members or friends have set up a memorial page for someone who has died. They’ve done this in part to provide a platform for the community grieving process as well as to bring together photos and past memories so they can see memories they may not have been part of before. This is what Facebook recommends and it is a great opportunity if you want to increase the profile of the person who has died. For instance, it can support a desire to honour them publicly, build awareness around a related cause or conduct fundraising in their name. On the other hand, it can also mean that relatives and close friends have multiple destinations to monitor, moderate or remember that person by. 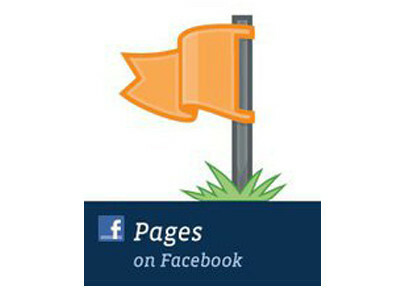 When setting up a separate page, they may not have access to the deceased’s network to encourage people to follow a new memorial destination. The open nature of a page also means that it’s difficult to limit a page to friends, family and acquaintances if the goal is for more private reflection; it can lead to a situation that’s wrought with issues if the death has been in the public eye. Understanding that privacy — for the deceased as well as those they have privately communicated with — needs to be respected, there must surely be a compromise. 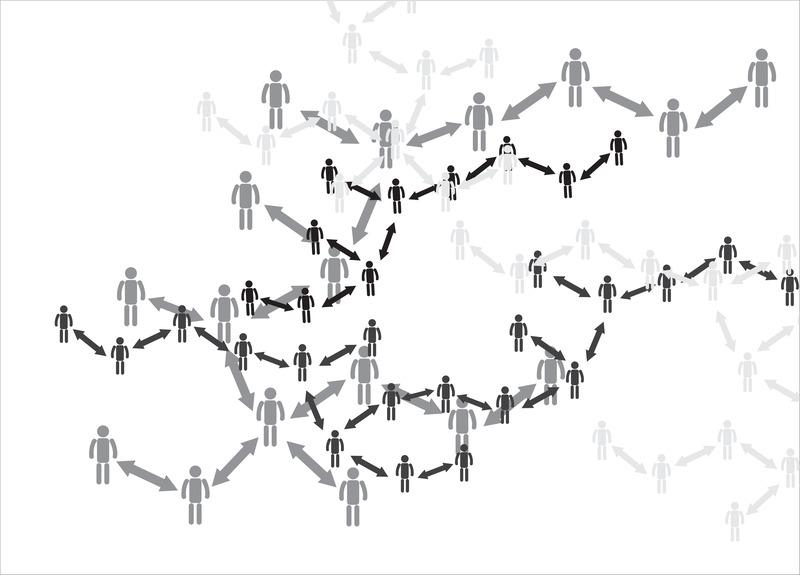 For instance, offering the option for Facebook users to pass account management to the next of kin or nominated person in the event of their death, so that their chosen representative can moderate community discussions, protect the public legacy of the deceased as well as monitor security settings. This type of external control could co-exist with existing memorialisation features such as restricting access to features such as Facebook messages while dis-allowing new friendship connections, birthday reminders or other types of profile recommendations. A nomination process would offer greater protection for the interests of the deceased as well as greater recourse for the community in the event that mediation is required. « Is digital eroding our past?